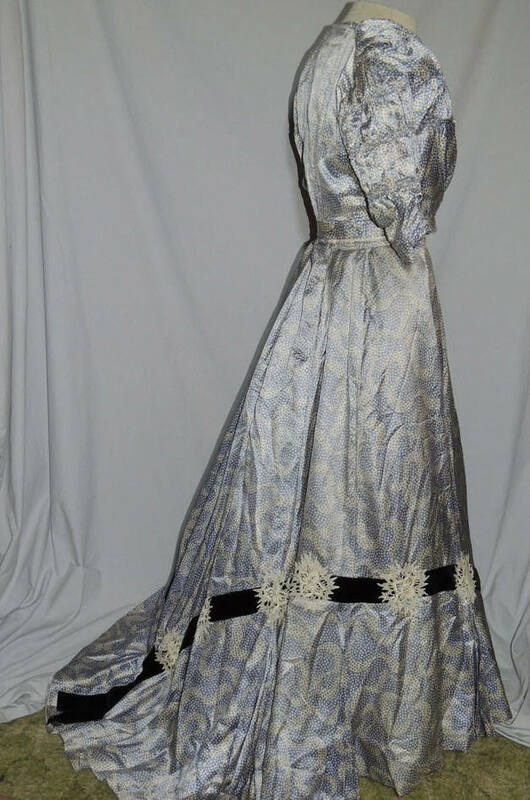 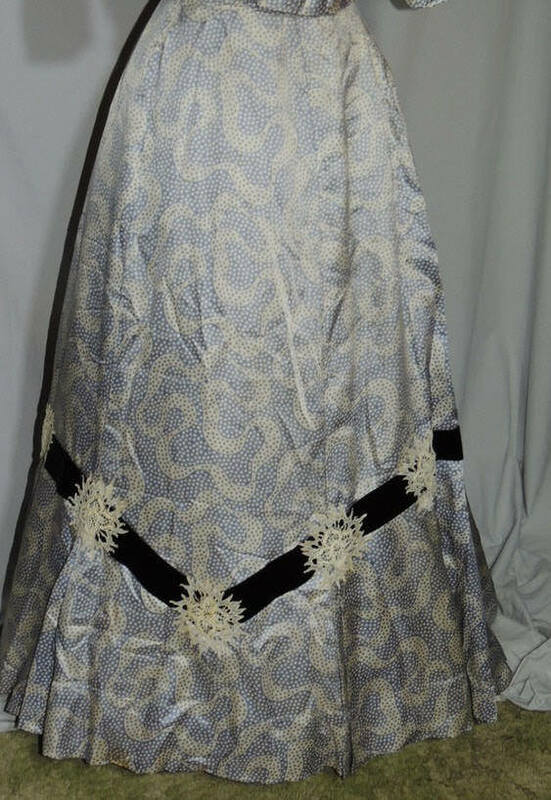 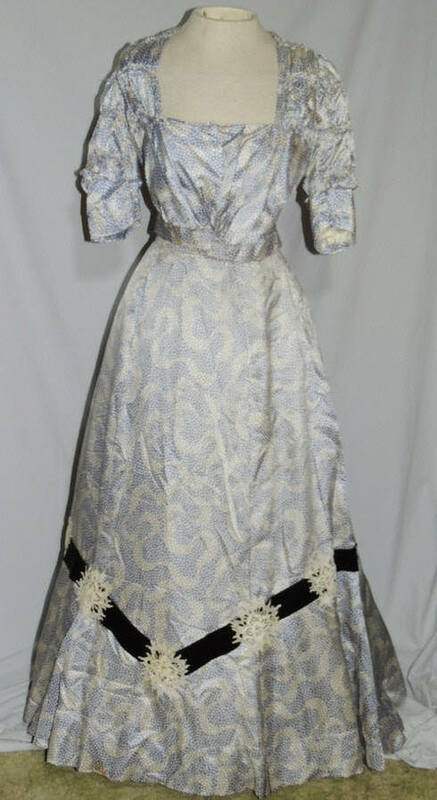 This beautiful Victorian dress is made from a beautiful silk in a white and blue ribbon print and small polka dots. 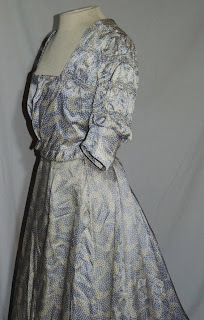 The bodice has a square neckline, it hooks down the front, the lining is torn along the edge where the hooks are attached and a fray on the waistband and just below the waistband at the side of the skirt. It's lined in cotton and the bodice has light boning. 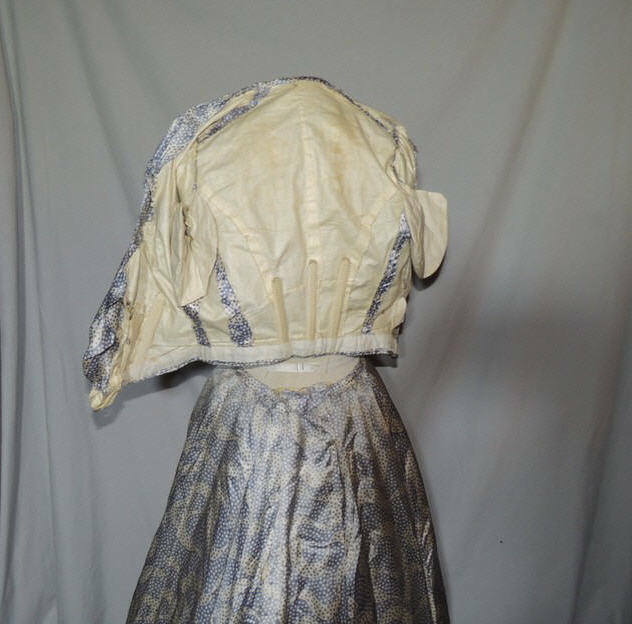 The yoke and upper arms are ruched and had lace trimming the neck and bottom of the sleeves, but it has been removed. 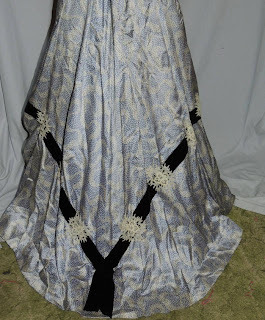 The skirt falls into a train, it has a wide band of navy velvet ribbom around the lower portion and about every 12 inches there is a double box pleat for fullness. 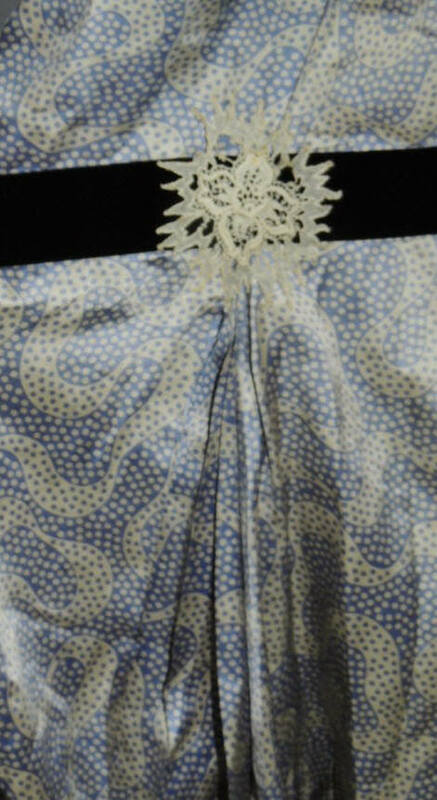 It has a tear at the back by the hook and eye, but will mend easily, the skirt is lined in a light weight cotton. 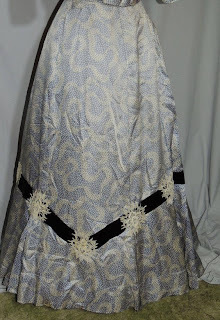 The bodice measures around the bust bust is 35 3/4 inches, across the back shoulder is 12 inches, waist is 26 inches. The bodice was clipped at the right angle where it attached to the sleeves and hand stitched where the ruching starts, I think it was always like that, but but could have been an alteration. 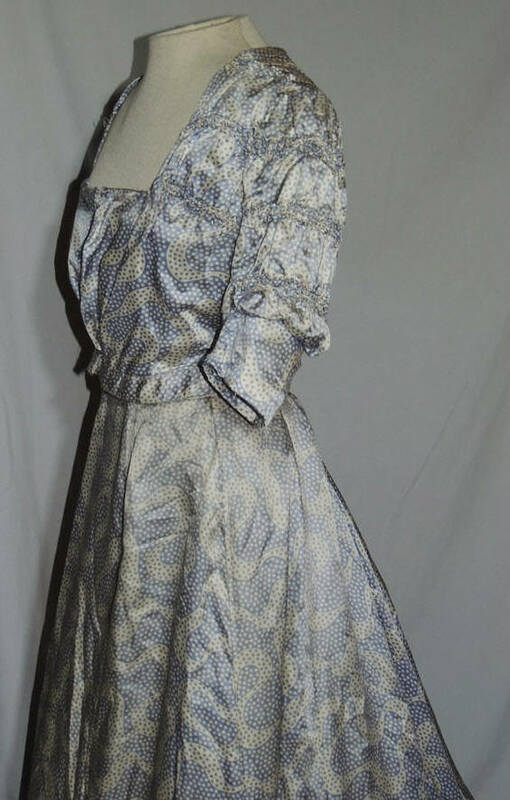 The skirt is 25 inches around the waist, hips are full and it's 40 1/2 inches long in front, dipping to a train in back. 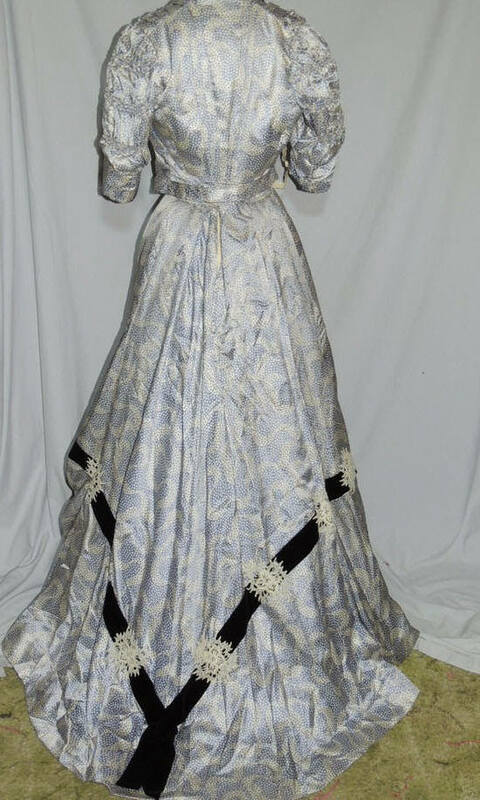 Excellent vintage condition. 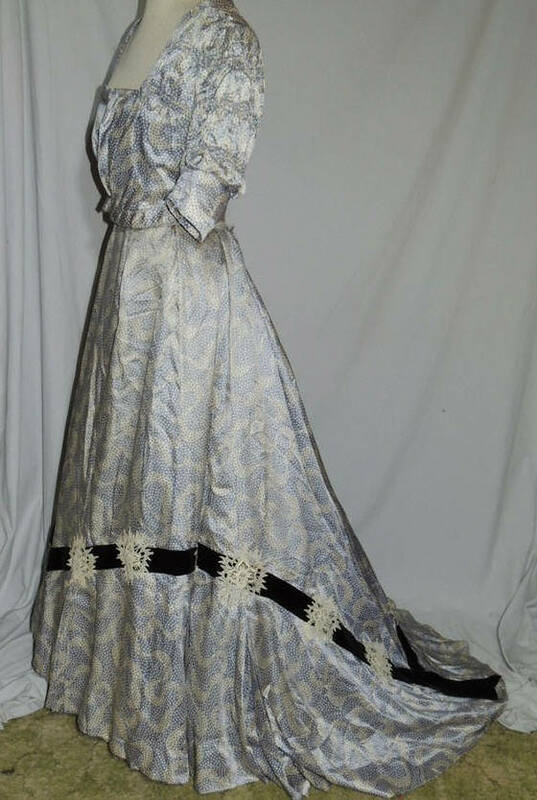 My guess is that this originally had a high neck lace inset that was removed towards the end of the decade. It may have also had lower lace sleeves.